SD40-2 (EMD) 3018 776044-13 01/78 Ex-BDLX 3267 < NS 3267 < Southern 3267; rebuilt with low nose. 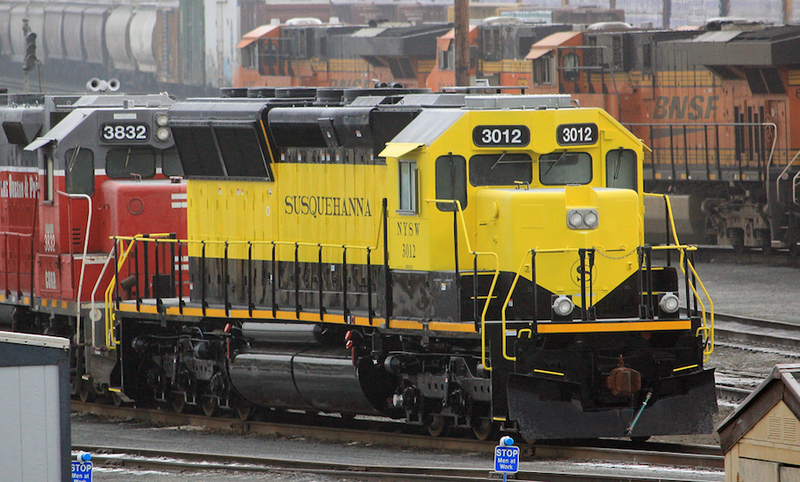 Note A: The GP38-2's are borrowed road power from NS & CSX; they are not owned by the Susquehanna. Norfolk Southern & CSX Transportation each own a controlling interest in the NYS&W. Every 90 days these units go back to their respective roads for service & repair.